After the long and probably arduous search for the perfect nanny, you’ve finally made a decision, extended an offer and worked out a written agreement to govern the professional relationship. When all the paperwork is finished, the real work begins. The adjustment period can be a rocky time for everyone involved, especially if your children have never been under the care of a nanny or were particularly attached to their last caregiver. Even for seasoned veteran nannies, coming into a new household for the first time can be a bit of a daunting experience. In order to facilitate the building of a long and productive working relationship with your nanny, it’s important that you make her feel as welcome as possible. Sit down with your kids to make and decorate a big welcome card addressed to your new nanny, or create a banner to greet her when she arrives for the first day of work. Encourage your kids to let their imaginations run wild! It doesn’t matter what he draws on the card or if his printing is legible on the banner. What matters is that he was actively involved in making his new nanny feel wanted and welcome. In the days leading up to your new nanny’s first day on the job, look for ways to work her impending arrival into conversations with your kids. Rather than sitting them down for a staged and scripted monologue, try peppering everyday conversations with her name to pique kids’ interest. When she arrives, kids will be so curious that they’re eager to greet her, and far too engaged to feel resentful or scared. While the reason why parents hire a nanny in the first place is to ultimately facilitate an arrangement in which they can get things done without kids in tow, you should plan to be around the house and available to your nanny as much as possible in the first few days of her employment to help smooth the transitional period. When your child is given the responsibility of showing his new nanny where the spoons are and introducing her to his special teddy bear, it gives him a sense of ownership and control over the situation. Help him own the transition by making him a vital part of it. Encourage him to give Nanny a tour of the house, and charging him with being her “helper” until she learns where to find everything. Not only will your child be more welcoming as a result of his new responsibility, but your nanny will also feel more at ease when she’s gained the trust of her charge. It’s not uncommon for nannies to feel a bit uncomfortable when it comes to food in your kitchen, especially if she’s previously worked for families that had strict rules about what and when she was allowed to eat. If you want to make your nanny feel welcome in your kitchen and at ease when it comes to eating during the day, grab a few special treats and put them in the pantry or fridge with her name on them. Let her know that she’s welcome to anything in the kitchen, but that these special treats are tokens of your excitement and appreciation. When your new nanny gets to meet your family members and close friends, she’ll be able to put faces with names that she hears regularly and will know that you value her place in your life. It also makes it easier for her to call upon these people in the event of an emergency if they’re the listed contacts. After all, it’s never easy to cold-call a stranger. Doing so when things are already frantic can be even worse! Let her get to know the people that she’ll be dealing with on a regular basis so that she feels like a welcome addition to your family, not a service provider to be hidden away from everyone else in your life. While the practice of living in isn’t as popular as it was in years past, there are still plenty of families and nannies that have just such an arrangement. 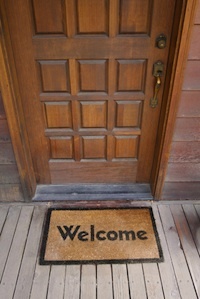 If your new nanny will be living in, it’s even more important to make sure that she feels welcome in your home. After all, it’s her new home as well. Make a special effort to include a few personal touches in her private quarters, give her plenty of privacy and room to breathe as she gets used to life with a new employer in a new home. When this time comes around each year, homeowners across the country take the opportunity to make a big push towards organization and cleanliness. One of the best ways to get rid of all that clutter after the big cleaning is to host a garage sale, which is why spring is the best time of the year for avid bargain hunters, too. If you’re looking for the bargain of a lifetime or that rare find, take some hints and tips from these thirty garage sale experts. Before you start aimlessly driving around your neighborhood, hoping to stumble upon garage sales, save yourself some time by devising a strategy. To find the best garage sales, you need to think like someone who is hosting a garage sale. Some hosts will use traditional and online advertising, whereas others will rely on word of mouth and lawn signs. These five blogs will give you a personal tour of the garage sale world, with hints and tips on how to begin your bargain hunting adventure. Clothing and toys are perhaps the easiest items to find in garage sales. In the world of garage sales, though, quantity does not necessarily guarantee quality. Whether you are buying for yourself or looking for gifts for family or friends, you don’t want to make a hasty purchase that you’ll regret later. Take the time to check clothing and toys for damage. If the damage is slight, don’t rule out buying the item, you can use it as a bargaining tool. There are plenty more tips on buying clothes and toys, along with basic yard sale etiquette and survival tips, in these five blogs. Seattle Urban Girls Garage Sale! 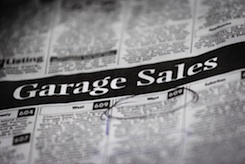 Garage sales are a great way to get the furniture, tools and household items that you need at bargain-basement prices. Some garage sale hosts will even provide delivery for larger items, which means you don’t have to miss out on an amazing deal. Always check furniture items for damage, as you don’t want to end up with something that’s going to fall apart before you even get it home. Follow the advice of these five bloggers to devise the best strategy for furniture shopping at garage sales. Buying odds and ends at retail prices is usually expensive. There are so many of life’s little accessories to fill a home with that by the time you’re done shopping, you might need to take out a second mortgage. Instead, have a rustle around in the boxes you see at garage sales!You may be surprised at you can find if you dig deep enough. For all the best bargain buys, take your cues from these five frugal shoppers. If you have a specific item or antique in mind, you may find what you’re looking for at a nearby garage sale. Vinyl records and quirky, old fashioned furniture can make for good investments, so make sure you do your homework before setting out. Although these kinds of items are rare, some garage-sale hosts actually specialize in finding them and selling them on to you at a fair price. Pick up some tips on how to find valuable vintage and antique bargains, by reading these five blogs. Garage-sale is a very loose term. In order to optimize the potential for attracting buyers, many sellers take their wares to local flea markets. These markets can be treasure troves of retail goodness, brimming with bargains just waiting for you to come along. Some flea markets even host special events specifically set up to mimic traditional garage sales. These five bloggers have all the inside information on finding the best flea markets, garage sales and bargains. There comes a time in every child’s life when she decries the need for a babysitter or nanny, asserting that she’s more than capable of looking after herself for a few hours. When your child’s need to assert her independence rears its head, it can be difficult to determine whether or not she’s truly ready for such a big responsibility. Before giving your kid the okay to hold down the fort without adult supervision, there are some things you’ll need to consider. The age at which a child can legally be left home alone varies from state to state, so it’s important that you make sure that you’re well-informed regarding the restrictions in your area. The laws may also differ depending on the number of children that will be left alone, as an older child may not legally be allowed to look after her younger siblings until she reaches a specified, state-mandated age. Be sure that you thoroughly research the laws in your area so that you don’t unwittingly break any of them. In the event of an emergency, you could even find yourself facing charges if your child is staying home alone before she’s legally considered old enough to do so. There’s spending time at home alone, and then there’s spending time at home with other children and no adult supervision. Even if your child has legally reached an acceptable age in your state, you’ll need to make sure that she understands and is mature enough to be trusted with rules about having guests. When a group of kids gather and there’s no adult to look after them, things can very quickly spiral out of control. If you even slightly suspect that your child will be inviting friends or neighborhood playmates over while you’re out, she may still be too young and immature to be trusted. The last thing you want is for an adventurous child to become a peckish one while you’re out of your home. Even if she knows that she’s supposed to stick to using the microwave and sink, a youngster that’s eager to prove her mettle while exploring new things may very well attempt to cook a large meal on the stove, which could easily end in disaster. Kids that have no idea how to safely use a stove probably shouldn’t be left alone at all, but especially not those that might be tempted to give it a whirl while no one is there to monitor the situation. No matter how old your child is, you’ll want to think twice before leaving her alone if you’re not going to be easily reachable by phone or text message. Even small situations can feel like major emergencies to a child, so be sure that you’re always available to take her calls or that she knows to call a trusted adult who’s on standby to help her. It’s best to begin acclimating your child to the idea of staying home alone in small doses by allowing her to ease herself into the situation. Start with a short trip to the grocery store, then increase the amount of time she’s left to her own devices gradually. While kids will all mature at their own pace, it’s not typically a wise idea to leave kids under the age of ten alone for more than an hour or two in most cases. Allowing your child to stay home by herself for an hour or two between her return from school and your arrival from work may be an ideal arrangement for everyone involved. That same two hour span that works out fine in the afternoon may be terrifying to a child at night, though. Until your child is well accustomed to looking after herself and shows no signs of anxiety about being left alone, it’s just not a good idea to let her stay home alone at night. Even if she does feel comfortable with the arrangement, it’s best to wait until she’s a teenager to consider late-night alone time. No one knows your child as well as you do, and no one else can determine when she’s old enough to stay home alone as well as you can. It’s natural to feel a bittersweet tug of sadness at the idea of your child growing up or to be a bit nervous the first time she spends an hour or two at home alone, but it’s not wise to leave her alone if you’re not absolutely convinced it’s a good idea. Follow your instincts and the knowledge you have of your child to ensure that she’s emotionally and physically ready to take care of herself for a while in your absence. Breakfast, or the act of breaking your fast, is one of the most important things you can do for your body. You have been sleeping for 7 to 9 hours and your body has digested the food that you ate the day before, so when you wake up in the morning your body is looking for more food to digest. If you eat something sweet like a donut for breakfast, your body will experience a sugar rush and then a couple hours later a sugar crash. Sugary breakfasts will not fill you up or satisfy you throughout the morning. When possible, you should try choosing healthier options for your breakfast, as found in these 30 blog entries. Whether you are coming back from a run, rushing out the door to work or trying to feed the kids, it’s possible to eat in a healthy way. On the weekend, when you have more time, you can try other healthy, more time consuming breakfast recipes. And for those that prefer to eat a vegetarian or vegan diet, there are some breakfast ideas for you too! It’s not always easy to come up with healthy, filling breakfast ideas for after your morning workout. You are most likely hungry after your workout, but you don’t want to undo the good that you have just done for your body by eating something unhealthy. These six blog articles will explain what you should eat to help your body repair itself after an intense workout. It is also important to eat foods that will stick with you until lunchtime so that you are not tempted to binge on unhealthy vending machine foods during the day. Morning Pre-Workout Snacks and Post Workout Breakfasts—What Should You Be Eating? During the week, you may not have a lot of time to make yourself a healthy breakfast, but on busy days it’s more important than ever to eat right. These six bloggers have come up with breakfast ideas that can be made ahead of time and grabbed on your way out the door. Other ideas for a quick breakfast can be found here as well. Take a look and see if you can find one to try tomorrow. Some kids just aren’t into eating breakfast first thing in the morning, but parents know that breakfast is the most important meal of the day for them. The brain has to have food in order to work to its full capability, and you’re body needs fuel to keep you energized throughout the day. Here are six ideas for healthy breakfast options that your kids might enjoy. You probably have more time to spend making breakfast on the weekend, and the kids might even be able to help you. These six blog posts will give you some fun ideas for breakfast, like breakfast cupcakes and baked eggs. You might even want to combine a few of these ideas for a Sunday brunch. Dairy, eggs and meat are staples of the typical breakfast, but if you are following a vegan lifestyle then you don’t eat any of those things. What can you eat for breakfast as a vegan? There are some substitutions for non-vegan foods: you can drink soy milk, use an egg substitute and try tofu sausage to create the same types of recipes for more traditional fare. However, in these six blog entries you can find new and different ways to shake up breakfast time. Ah, summertime is just around the corner. Soon school will be out, kids will be sleeping in and before you know it parents will be hearing, “I’m bored!” If you have a nanny, you have a built in solution to the summertime blues. Here are just a few ways a nanny can create an awesome summer experience for your kids. Plan a summer camp experience. Your kids don’t have to officially enroll in summer camp to get that great camp experience. Your nanny can plan a camp experience for them. She can replicate the activities that a typical camp would do or use her imagination to create her own format. What would camp be without friends? Your nanny can gather up classmates and friends to get involved so your child can enjoy his favorite activities and friends at the same time. Just relax. Remember when summer meant doing a whole lot of nothing? Many parents want their children to experience that type of summer. Your nanny can “plan” days that have no real plan or schedule. Your child can decide if he’d like to spend the day at the pool or playing in the back yard with his neighborhood friends. Or he might decide that he wants to head to the zoo for the morning and then to his favorite playground for the afternoon. The fun thing is that he can decide to have a full day filled with lots of activities and adventures or a day filled with nothing at all. Focus on what the kids love. 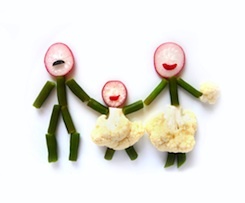 Does your child adore arts and crafts? Then your nanny can plan lots of creative activities. Your child can tackle those big art projects that he normally doesn’t have the time for or he can learn a new skill and use the summer to practice and improve. Does your child love bugs? Your nanny can plan a series of fun activities focused on bugs, bugs, bugs. Your child can spend the day exploring the local science museum and learn all about the different types of bugs. They can take hikes through different areas that are home to different bug species. Your nanny can help your child create his own backyard bug collection. Unlike a camp counselor, who has to plan activities that appeal to the masses, your nanny can plan activities that have special appeal to your child. This can allow him to dive into his interests in ways he doesn’t have time for during the school year. Discover the sibling connection. During the school year, siblings don’t often have the chance to spend any real time playing together. Because they’re different ages, they’re usually involved in different activities and have different sets of friends. Often, the only time they’re together is in the car on the way to or from some activity and at meal time. During the summer, however, your kids have the chance to spend some real time together. This seemingly small thing can have a huge impact on their lifelong relationship. Your nanny can find things all kids will enjoy and make sure there’s lots of free time at home so the kids can discover fun things on their own. Enjoy the great outdoors. Summer is the perfect time to spend the days outside. Your nanny and kids can explore local lakes, spend the day splashing at the pool or pack up and take a road trip to the shore. It’s also a great time to try out new bike trails, have a neighborhood game of baseball or kick ball, learn how to play a new sport or get better at one your child already enjoys. Summer outdoor fun doesn’t have to mean structured activities. Your nanny can climb trees, build a fort or go on a scavenger hunt with your child. Staying active is something many kids struggle with these days. Using the summer to start new habits is a smart way to help your child stay healthy throughout the year. Mix it up. Your child can enjoy the best of all the ideas. You can enroll her in her favorite camp for a couple of weeks. She can take a sports sampler class at the local community center. Your nanny can pack the swim bag and head to the pool for some fun with her friends. They can visit the local museums, zoos, historical sites and anywhere else that interests them. When you have a nanny, you can work with her to design a summer that fits your child’s personality, interests and needs perfectly.